As we commemorate the 40th anniversary of the declaration of Martial Law on September 21, 1972, InterAksyon.com posts a series of testimonies from human rights victims of the Marcos regime. Thousands of Filipinos were murdered, tortured, or disappeared in the country’s decade under military rule. But aside from those who directly suffered the regime’s atrocities, there were the other victims — their families. The widows and widowers, the orphans, those who saw loved ones savaged or slaughtered before their very eyes, or taken away never to be heard from or seen again. And there were the children born and/or raised behind bars by parents jailed for opposing tyranny, and those who grew up with surrogates as their fathers and mothers acted on their convictions by taking to the countryside to wage actual combat against the forces of dictatorship. De Vera’s parents went underground during Martial Law. His mother, Adora Faye, was arrested by the military in 1976. She was stripped, beaten, and repeatedly raped during tactical interrogations. Adora got pregnant after the repeated sexual assaults and was forced to induce an abortion. 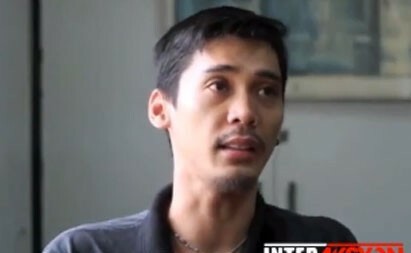 De Vera’s father, Manuel, disappeared 22 years ago and has remained missing to this day. This is the story of the orphaned child and his path to awakening.